OUR TRADEMARKS ARE IMPORTANT TO US. We are a national company, licensing events nationwide. Our trademarks are one of the biggest assets of our company. To maintain control over our brands, protect ourselves and our licensee’s against infringers we must defend and protect our marks. Maintaining a strong trademark and branding is key to a successful future for our members and ourselves. Sorry… Yes you are. You would be diluting our national branding. It’s just a matter of time before someone desires to promote one of our events in your market area. We need to protect our brands from infringers. Infringement occurs even if the names are not identical… Courts consider “Sight, Sound and Meaning” when determining if the two marks are similar. For example, try to name your fast food restaurants McDowell’s, and you’ll quickly see that marks don’t need to be identical to cause infringement. Keep in mind if you infringe on our marks we will ask the court to pay us any money you made as a result of the infringement as well as for damages and legal fees. If you want to use one of our marks… JUST ASK. We don’t even charge a fee to use them. We only ask that you use our registration platform, follow our event models to assure your success, use our logos as intended,and purchase basic event materials such as medals, tees, signs and banners or any other branded item. Keep in mind we buy in bulk and pass the savings on to you! What Are Copyrights, Trademarks, and Trade Secrets? The United States has created enforceable rights in “intangibles” that are known as intellectual property, including copyrights, trademarks, and trade secrets. Copyright law provides federal protection against infringement of certain exclusive rights, such as reproduction and distribution, of “original works of authorship,” including computer software, literary works, musical works, and motion pictures. 17 U.S.C. §§ 102(a), 106. The use of a commercial brand to identify a product is protected by trademark law, which prohibits the unauthorized use of “any word, name, symbol, or device” used by a person “to identify and distinguish his or her goods, including a unique product, from those manufactured or sold by others and to indicate the source of the goods.” 15 U.S.C. § 1127. Finally, trade secret law prohibits the unauthorized disclosure of any confidential and proprietary information, such as a formula, device, or compilation of information but only when that information possesses an independent economic value because it is secret and the owner has taken reasonable measures to keep it secret. 18 U.S.C. §§ 1831, 1832. For more information on these rights and how they are criminally enforced, see Prosecuting Intellectual Property Crimes (4th ed. 2013), U.S. Department of Justice, Computer Crime and Intellectual Property Section (www.justice.gov/criminalccips/ccips-documents-and-reports). How Can Intellectual Property Be Stolen? Intellectual property can be stolen (i.e., infringed or misappropriated) in many ways. For example, copyrighted works, such as movies, music, books, software or games, may be illegally infringed by reproducing or distributing unauthorized copies of such works either online or by manufacturing and distributing infringing CDs or DVDs containing the unauthorized content. 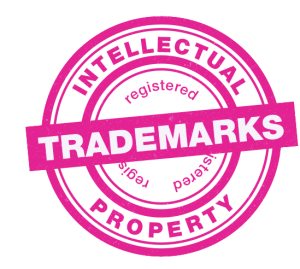 A trademark or service mark may be infringed by offering goods, services, labels or other packaging containing a counterfeit mark. A trade secret can be surreptitiously misappropriated from its owner either by a company insider or by someone outside a company and used to benefit the thief, a competitor, or other third party. What are the consequences for violating a persons copy written works and or trademarks? (a) Anyone who violates any of the exclusive rights of the copyright owner as provided by sections 106 through 122 or of the author as provided in section 106A(a), or who imports copies or phono records into the United States in violation of section 602, is an infringer of the copyright or right of the author, as the case may be. For purposes of this chapter (other than section 506), any reference to copyright shall be deemed to include the rights conferred by section 106A(a). As used in this subsection, the term “anyone” includes any State, any instrumentality of a State, and any officer or employee of a State or instrumentality of a State acting in his or her official capacity. Any State, and any such instrumentality, officer, or employee, shall be subject to the provisions of this title in the same manner and to the same extent as any nongovernmental entity.